All levels of expertise are cordially invited to join us. 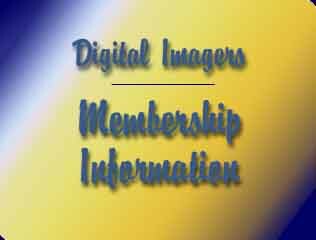 Members may participate in the Members Gallery and exhibit their imaging work on the World Wide Web. Members are eligible to apply to the Exhibitions Program allowing local showing of their work in public exhibitions. Members may participate in the group purchase program. Members will increase their skills and comprehension of the digital arts. Members will benefit from the interchange of ideas and work with other members.